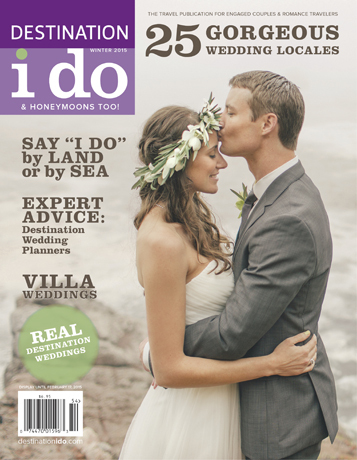 Our Winter 2015 cover features real life newlyweds Elizabeth and Brian getting cozy on the Big Sur coast. The image was captured by the talented Carlie Statsky. Our Honeymoon Hideaways is as epic as ever with features on Dubai, Peru, Germany and Paris. Looking for the upmost in luxury with privacy to boot? 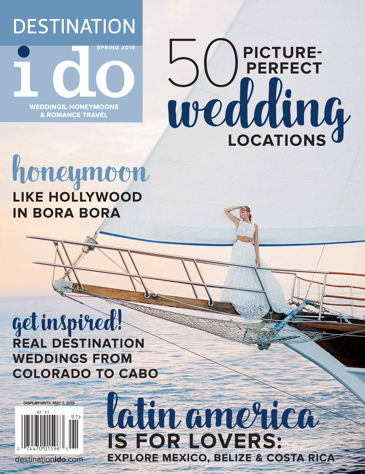 Check out our Luxe Living: Villa Style section to discover how you can turn your destination wedding into the high-end opportunity of a lifetime. Last, but certainly not least, are the ever-crowd-pleasing Real-Life Weddings. We’ve got seven gorgeous and inspiring destination weddings from across the globe.